A while back I asked some friends for sketch prompts, and this is the first of three quite adorably silly suggestions I was given. 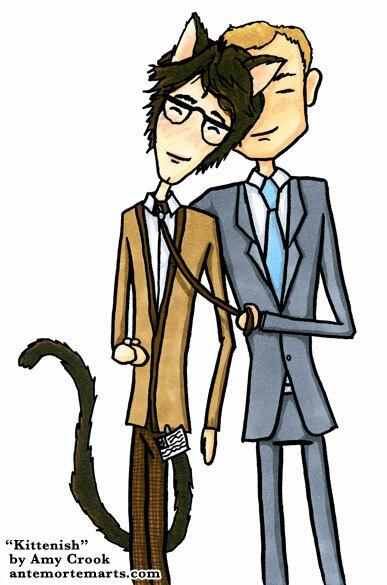 After I sketched them, I couldn’t resist inking and coloring them, and so we have James Bond getting a face full of kitten fur from his Quartermaster. Remember, real men head boop kittens. 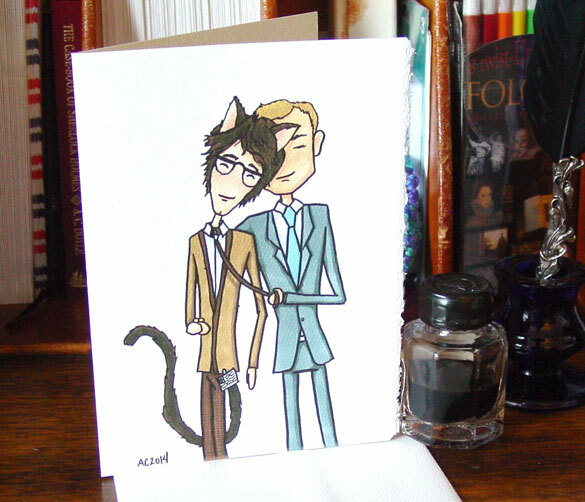 The original was sold in September’s Floating Gallery, but you can get a card in my Etsy shop. Kittenish, 5″x7″ pen & ink and Copic marker on paper.